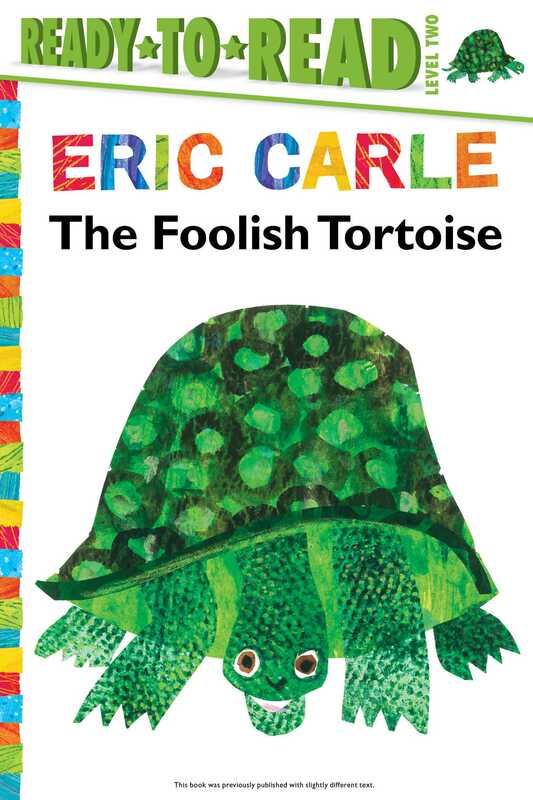 The timeless tale of The Foolish Tortoise, illustrated by Eric Carle, is now available in a Level 2 Ready-to-Read edition! The foolish tortoise is tired of being so slow. He decides that the easiest way for him to move faster is to get out of his heavy shell. The only problem is, once he leaves his home, he’s too scared to walk anywhere! This silly tortoise learns the hard way that there’s no place like home. Children will enjoy this jubilant tale of a tortoise on a journey of self-discovery! Now available as a Level 2 Ready-to-Read, this charming story with rhyming text is perfect for young readers! Richard Buckley is a much-traveled English writer of both prose and poetry. He has lived in New York, Paris, and London, but his present home is in Cheltenham, England, where he has lived for the past thirty years, bringing up two sons with his wife (and muse) Elfie. His books for children include The Dutiful Penguin, The Foolish Tortoise (with Eric Carle), The Greedy Python (with Eric Carle), and The Bird Who Couldn’t Fly (with Alex Williams). Eric Carle is an internationally bestselling and award-winning author and illustrator of more than seventy books for very young children, including The Tiny Seed, Papa, Please Get the Moon for Me, and his most well-known title, The Very Hungry Caterpillar. Born in Syracuse, New York, Eric Carle moved to Germany with his parents when he was six years old. He studied at the prestigious art school, the Akademie der Bildenden Künste, in Stuttgart, before returning to the United States, where he worked as a graphic designer for the New York Times and later as art director for an advertising agency. The Very Hungry Caterpillar, now considered a modern classic, has sold nearly fifty million copies and has been translated into sixty-five languages. With his late wife, Barbara, Eric Carle cofounded The Eric Carle Museum of Picture Book Art in Amherst, Massachusetts in 2002. Eric Carle lives in the Florida Keys.